The Premier package adds a whole range of extra features to your Discus account with just one click! 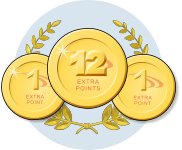 While Premier is active on your Discus account, you build up Premier points that you can spend on a whole range of rewards, from profile credits to DISC training. 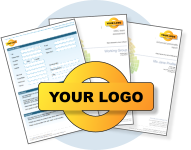 Set up Discus to add your own company name and logo to printed reports, including not only Discus personality profile reports, but also printed DISC questionnaires. Customise your candidates' profiling experience, by adding your own company name and logo, and setting up your own colour scheme, for Discus' online profiling portal. 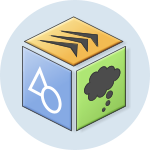 Now you can profile aptitudes and skills as well as personality. Your Premier account will regularly set up free credits for the Axiom Discovery aptitude testing service. 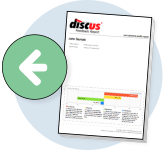 Discus already gives you access to Feedback Reports for Enhanced DISC reports, but with Premier in place on your account, you can also see Feedback Reports for your Classic profiles. 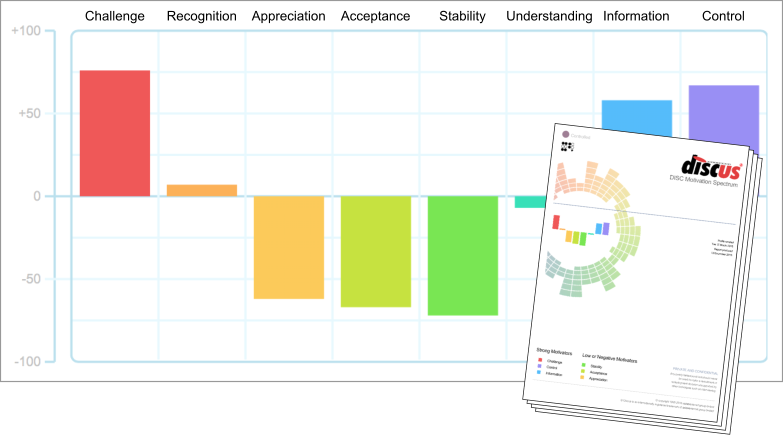 Your Premier account expands access to the Discus Motivation Spectrum reports, making them available free for all Classic or Enhanced profiles. Need help or support with Discus? Your Premier package makes sure you always stay ahead of the pack with automatic priority-level support. Get Started with Premier Today! You could be gaining all sorts of new report options, features and more, with a Discus Premier account, and it's quick and easy to get started. If you haven't taken advantage of Discus Premier yet, just click the gold 'Premier' tab in Discus to find out more and sign up for the Premier service today. From 25 May 2018, the EU will implement a new set of data protection rules known as a the General Data Protection Regulation or GDPR. Discus has always been designed to maximise personal data security, but we've made a few changes to ensure full compliance with the new regulations. We take every possible step to ensure the security of client and candidate data alike. All Discus data is held on Google's cloud database servers, and is maintained with two layers of encryption: once by Discus itself, and once by Google's own data systems. Our server architecture is maintained daily to ensure that latest updates and security patches are always in place as soon as they are released. This all means that data held by Discus is held in an environment that's as safe and secure as possible. One of the cornerstones of the GDPR is the idea of informed consent. Candidates should have a clear idea of what their personal data will be used for, and they should give unambiguous consent for that use. To comply with this requirement, the Discus questionnaire process always requests explicit consent. Before a candidate starts a profile questionnaire, they are given an explanation of its purpose, and asked to consent to its storage and use. Without this consent, Discus will not store or process any candidate details. The GDPR also requires that individuals have a right to demand deletion of their personal details. To help users comply with this requirement when necessary, Discus includes full and permanent deletion facilities. A periodic deletion facility is also provided so that users can ensure that their candidate database is kept recent and up-to-date, and does not maintain unnecessary candidate data. Discus collects minimal information about canddates, but a certain amount of detail is required in order for clients to identify or contact the individuals concerned. Discus account holders are custodians of the personal details they collect about a candidate, and this means that they have certain responsibilities of their own, clearly spelled out in the Discus terms and conditions. Most importantly, users have a responsibility for maintaining the privacy of their candidates and the security of those candidates' personal data. That data should not be published or shared with third parties without a legitimate purpose or interest. Candidates also have a right to know what information is held on them: not only their personal details, but also any supplementary data, which in principle also includes their DISC results. 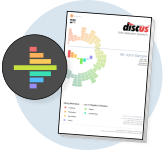 Discus includes a report designed specifically for this purpose, the Feedback Report, which provides DISC results in a clear and understandable style ideal for providing to the user on request. As part of our ongoing project to provide Discus in a wide range of languages, we're pleased to announce the release of Discus in both German and Italian. 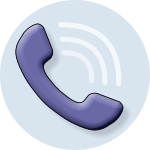 That means that the entire Discus system is now available in a total of ten different languages or language variants: as well as the new German and Italian versions, we also provide UK and US English, Chinese, French, Norwegian, Portuguese, Spanish and Swedish. This is an ongoing project, so look out for new language options over the coming months. Choosing your Discus language is easy: as you sign in, you'll see a new option that lets you pick your preferred interface language. You can change your language at any time, too. From within Discus, click your Settings tab and choose the 'User interface' option. Discus has always provided its questionnaires and reports in different languages, but this month we're pleased to announce the launch of a new translation project: the entire Discus software. That's a massive project covering every aspect of the Discus system, involving the translation of over a million words. These new translations include all the interface content, e-mails and our full suite of reports. 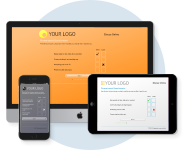 At this early stage, the interface is available in three different languages: the original English, French and Simplified Chinese. We're planning to add plenty more language options over the coming months. As you sign in to Discus, you'll see a new option that lets you pick your preferred interface language. Once you're using Discus, you can change your language at any time by click your Settings tab and choosing the 'User interface' option. The French translation is currently an experimental version. This is offered as a convenient solution free of charge, but the interpretation may not be as precise as for a formally translated report. At this point we recommend reading the text in conjunction with the English report where practical, and of course we welcome your feedback on the translated content.